Luts’k is an ancient and, at the same time, modern city that have combined European magnificence and sincere Ukrainian hospitality. Nowadays Luts’k plays an important role in economic and political life of the country and is an important industrial centre. 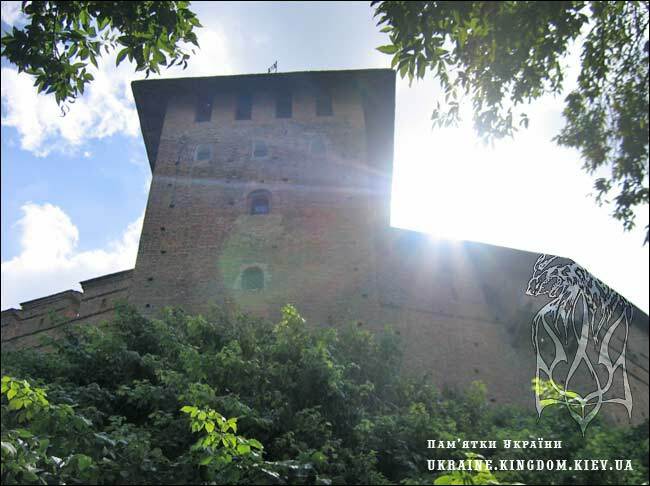 Luts’k is situated near the border in the north-western part of Ukraine and is now playing more and more important role in Ukrainian European choice. History and present are in harmonious union here. 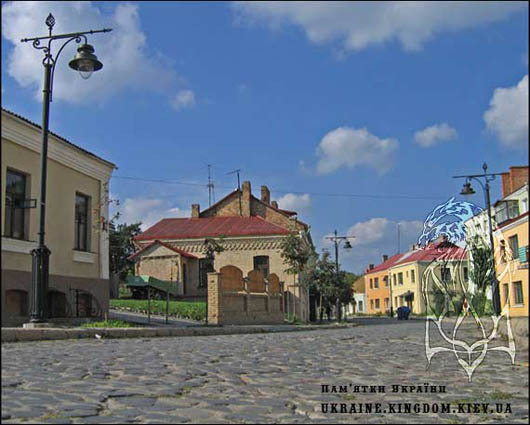 The fairy tale of the old city and the “stormy” life of modern areas are always together – which adds a special charm to Luts’k. To understand it, one must look at the history of the ancient city. Luches’k, Louches’k, Luts’k – these are the words that are taking us back to old times – on the island where a picturesque and, at the same time, powerful city was born - city that during its centuries-old history was the arena of the decisive historical developments. 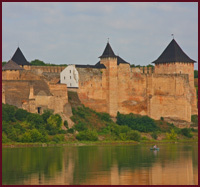 Being situated on the crossroads of trade routes to Western and Baltic countries, Luts’k became an important economical centre; it was connected by water-ways with Kyiv as well as other ports in Ukraine and other Black Sea countries. But the development of ancient Luts’k would have been impossible without convenient defensive location – on the north and west the city borders were defined by turns of Styr river, on the south – by river Glyshen’, the east was surrounded by impassable swamps. From this the name of the city derives – Luches’k – from the word “luk” which meant “turn of the river”. 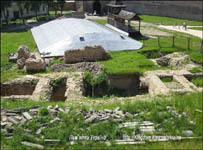 Other legend connect the word “Luches’k” with the name of tribe chief of east-Slavic tribe of dulibs – Luka, who has started the building of the ancient city. The first remembrance about Luts’k can be found in Ipatiyivski chronicles (dated 1085) which already stated the solid development of the city. Near 100 A.D. Volodymyr the Great, grand duke, united Volyn’ region to Kyivan Rus and built Luts’k fortress that turned out later to be a large obstacle for the conqueror’s plans on Ukrainian territories. 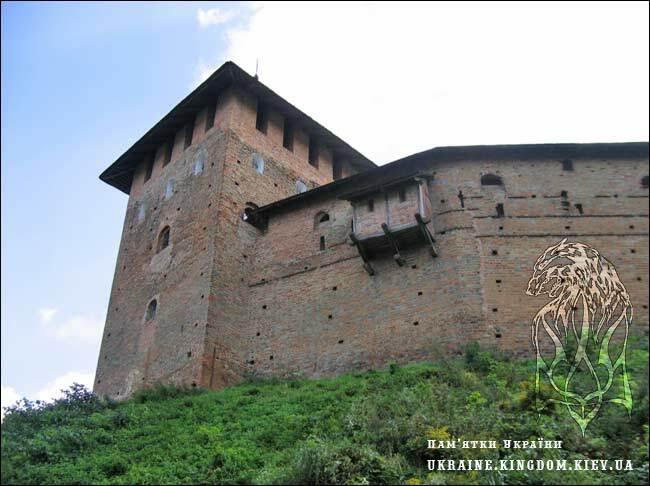 This fortress has remained standing after the sieges of the armies of Polish kings Boleslav the Courageous and Andriy the Godloving, Galician dukes Volodymyr Volodarevych and Yaroslav Osmomysl. 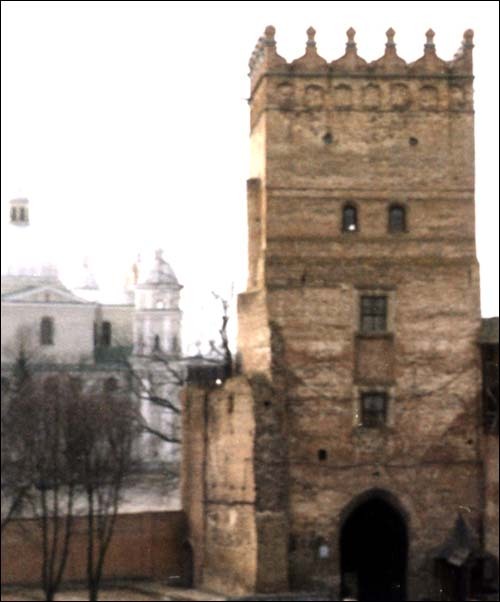 The city was unconquerable for a long time during Mongol-Tatar invasion but in the middle of 13th century its inhabitants were forced to destroy all defensive fortifications. 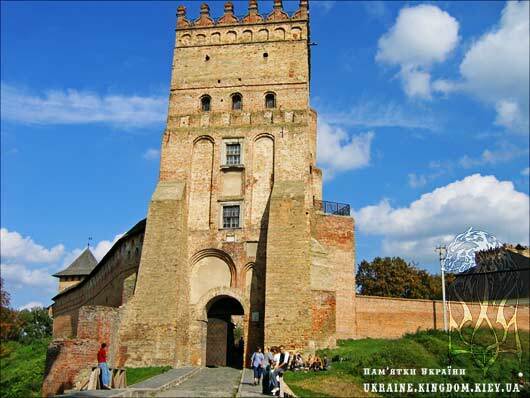 During those times Luts’k played a role fo administrative and economic centre of Volyn’ duchy that as a part of Galicia-Volyn’ (Galyts’ko-Volyns’ke) state played an outstanding role in Ukrainian history. 1388-1480 – years of the reign of Lithuanian Duke Vitovt. At those times, in 1429 all the powerful monarchs of Europe gathered there and after this event city is put on all the European maps. Luts’k survived the war in 1431. 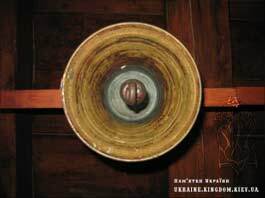 It was a place where Ukrainian political highest ranks were hiding from Tatar army at the end of 15th century. 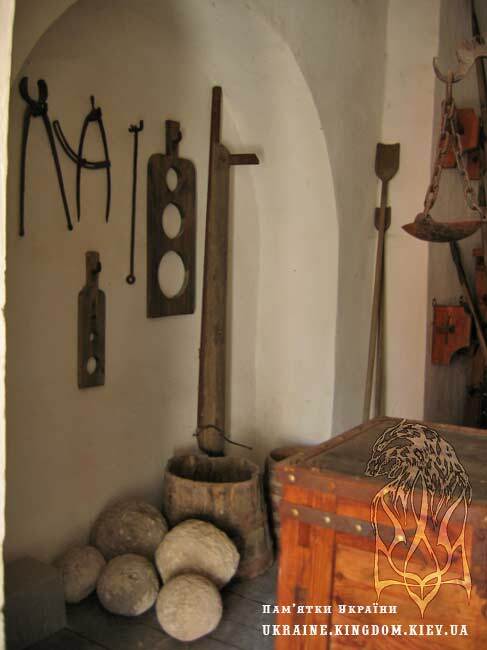 The developments of XVI-XVII centuries are described in chronicles of those times. 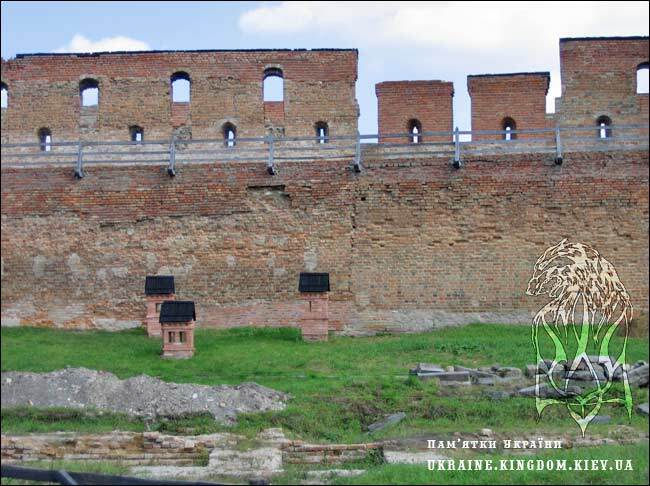 In 1595 cossacks under the command of Severyn Nalyvayko are retaking the fortress. 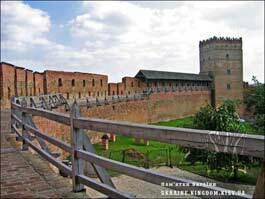 In 1648 new uprising against the pressure and oppression o Polish gentry took place. 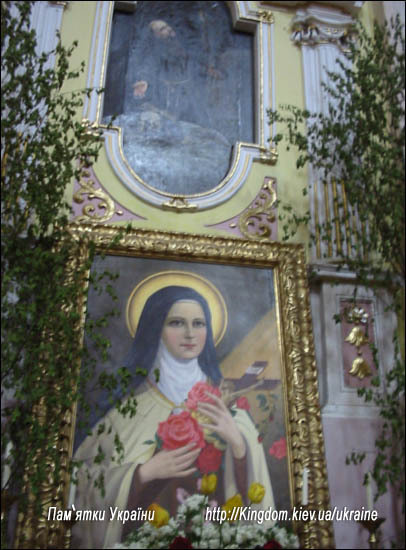 The religious life of the city was diverse too. 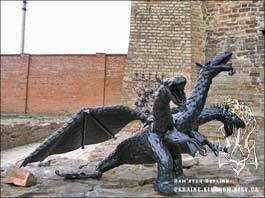 After Lublin union was adopted in 1569 Volyn’ lands became the part of Poland. 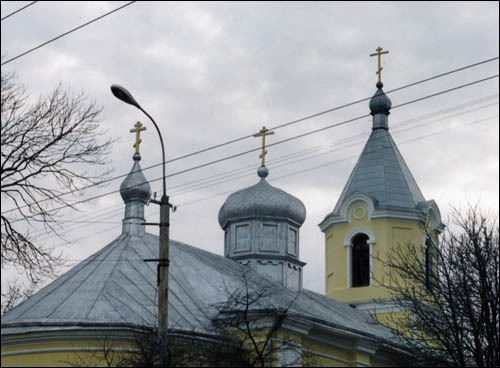 After adoption of Brest union in 1596 Catholicism has become an official religion in the region. 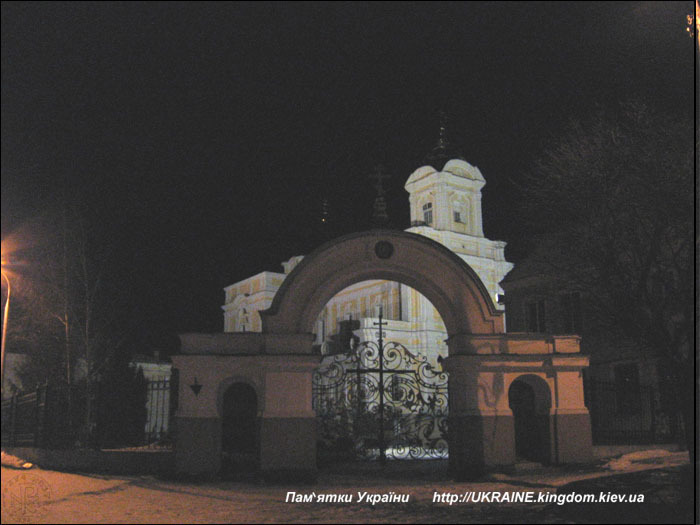 Polish policy in Volyn’ region resulted in firm protests of Ukrainian people who rose to defend their native language and religion. 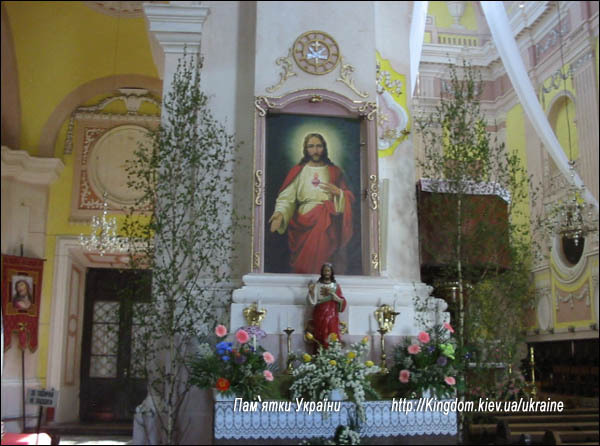 It was this period when the numerous religious architectural monuments were built. 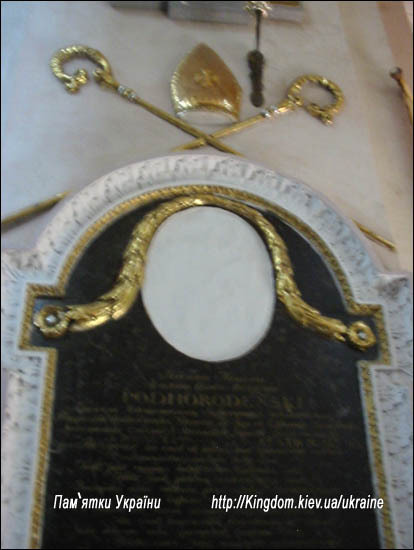 As a result of Swedish takeover in 1706 city suffered great destroying. After all, the 3rd division of Poland brings the lands of Western Volyn’ lands together with all the rest of Ukrainian lands and becomes a part of Russian Empire. But already in 1921 Riga treaty makes this territory a part of Poland. 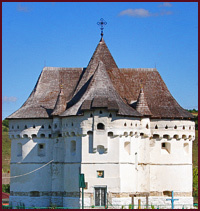 Built in 13-14 century. 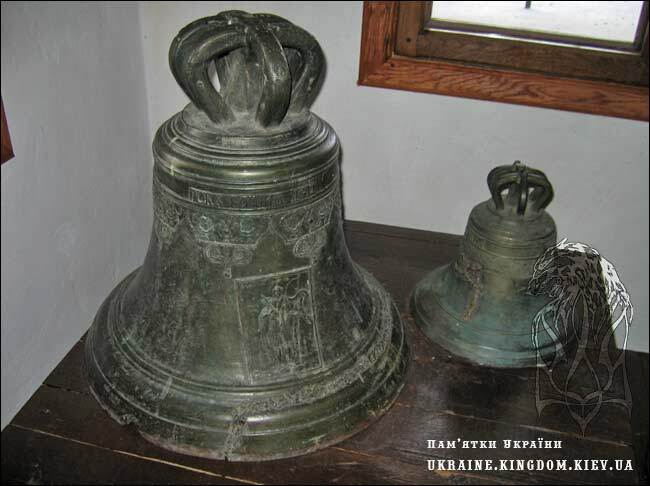 Has 3 towers: Lubart Tower (in honour of Lubart who reigned here in 1340-80, Styrrova or Svydrygaylo Tower and Vladycheva Tower in which the museum of bells (one of few or, may be, already the only one where the collection of different bells are gathered). Restored in 1977. 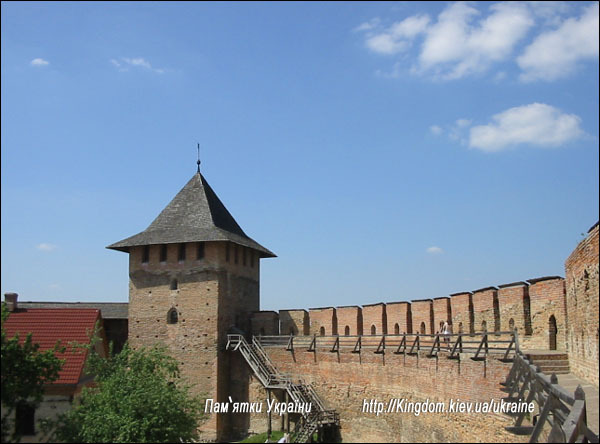 My own reminiscences: I appeared to be in Luts’k at the beginning of March 2001... Fortress… The feeling of some “middle ages”… Crowds of people… busy market near the fortress… The air smells with fish and fried pasty, clouds in the skies, suffocation, coming rain. And above all this stands silent castle. Angry and unassailable. I’m crossing market square, turn into silent street where the private houses are situated. I see several drug-addicts, loving couples loving each other near the walls. 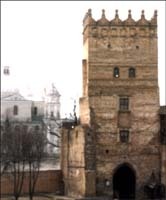 Here’s the present-day reality… I pass through Lubart Tower, 1 gryvnya for the entrance. This allows me to walk at the yard and that’s all :) But if I want to see more, e.g. 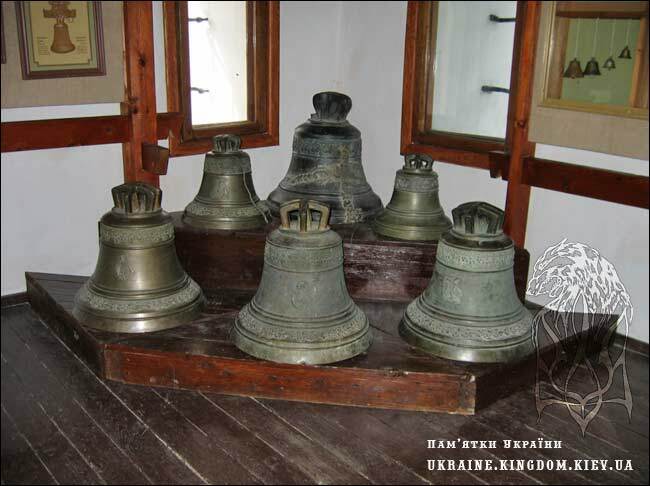 the church or museum of bells and something mysterious in towers and to listen to some interesting facts – I need to pay 20 gryvnyas. May be some other time. But I managed accidentally to get into the museum of bells, but being a good girl, I just made sure that bells are there and that’s all… But in May 2005 I made some photos. 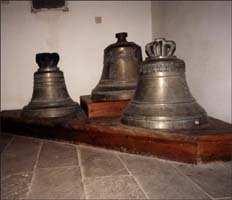 XV century. 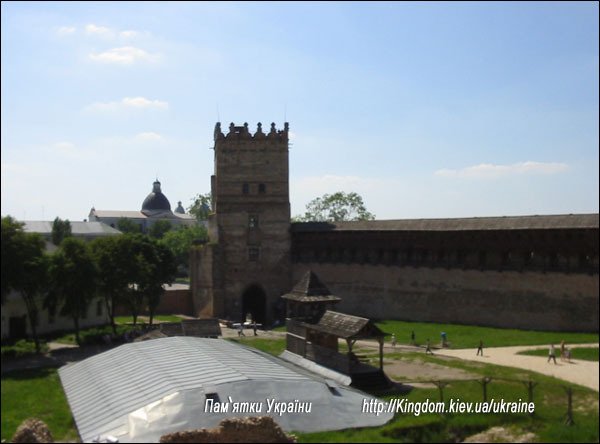 The tower and the wall are the remains of the fortifications of Obhidnyy (Turning) Castle which was built in XIV-XV century, Obhidnyy (Turning) Castle was strengthening the defense of Upper Castle from south and west. 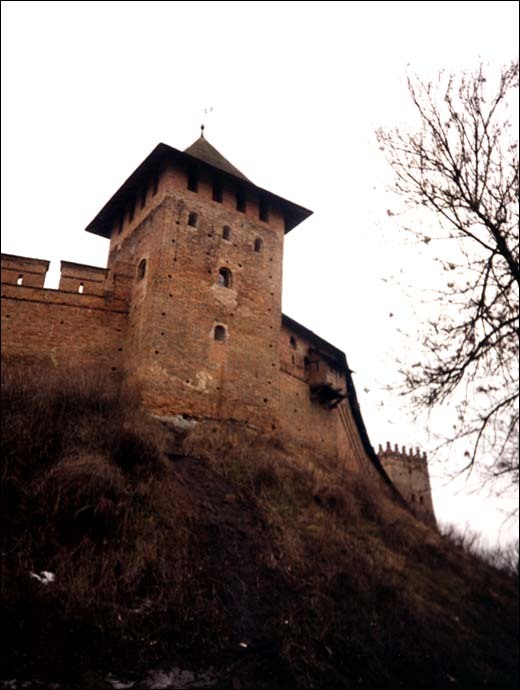 Onhidnyy Castle was surrounded by stone wall with four towers from southern and western side. The entrance to its territory was possible by passing the bridge over the ditch filled with water. 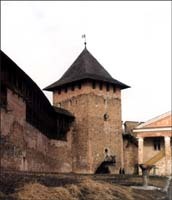 Ditch was situated between ramparts. 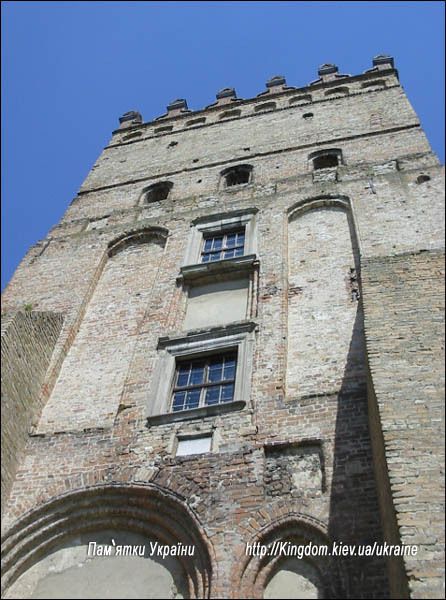 The tower of the dukes is built from bricks is preserved till nowadays. 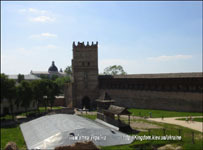 At the beginning of XVI century the tower was reconstructed and its initial square plan was changed in XVII century. 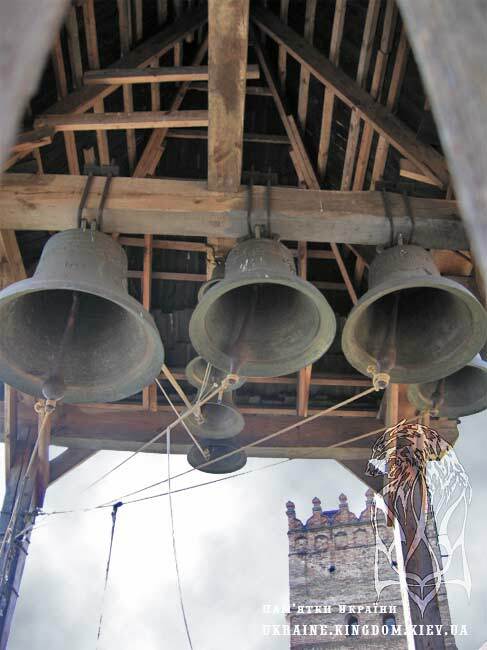 The tower had loopholes and embrasures that had bow-shaped covers which were lately altered into the windows. 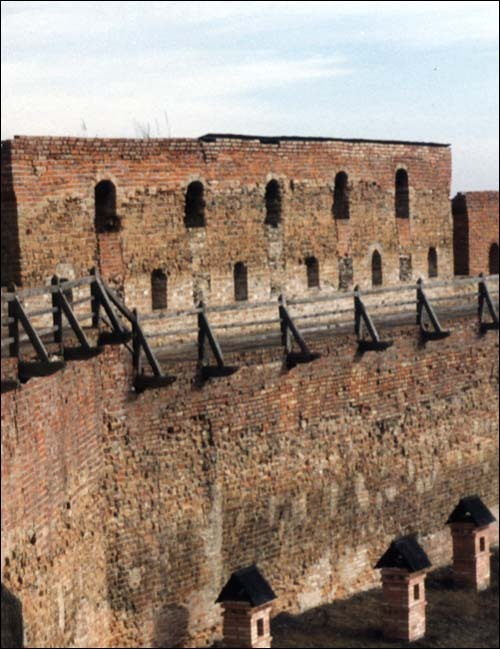 The wall, that had a side with tower, was built from bricks and stones. 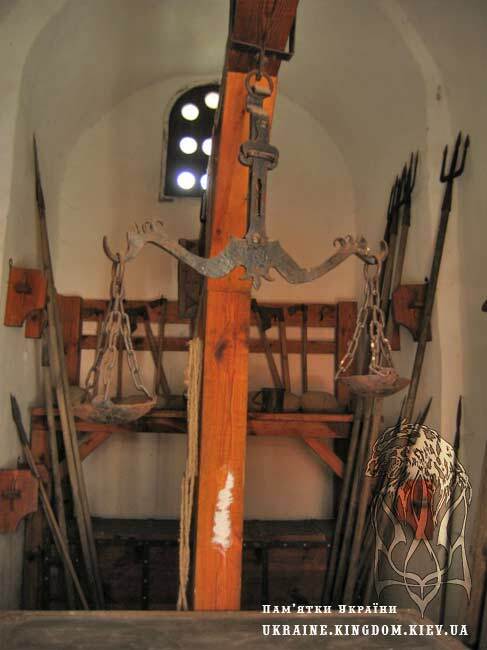 It was finished with battlements – merlones and had a wooden battle gallery. Now it’s only the holes for beams that remained from the gallery. Inner bays, that are playing the roles of small cells, now are made from bricks. In 1971-1973 the tower and the wall were temporarily closed-down. 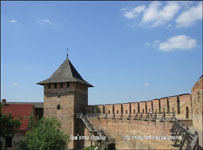 The fragment of the wall (sided with tower) is decorated with cellular diamond-shaped gothic ornamental patterns from coloured brick trims. 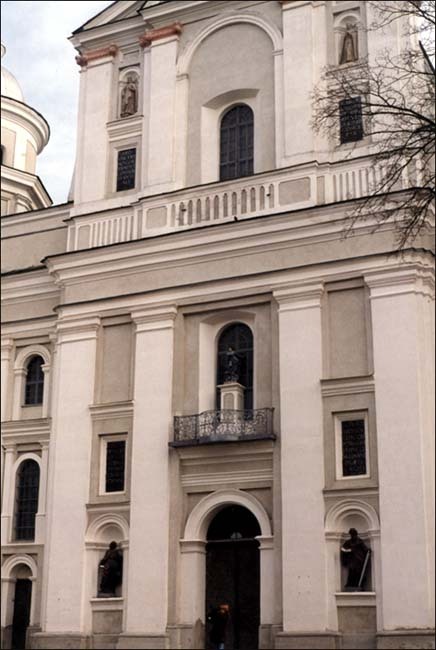 Built in 14-16 century in spite of all the prohibitions and restrictions about the synagogue building from Popes Alexander III (1159) and Pjotrkovs’kogo (1542). 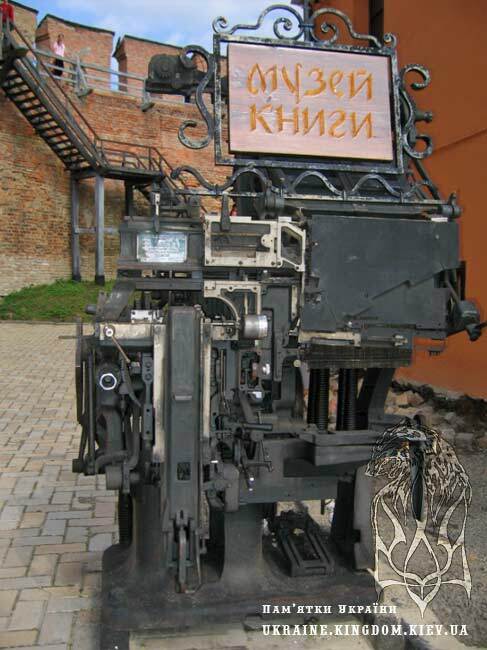 As a true masterpiece of defensive construction, it was a part of defensive line of the Obhidnyy (Turning). 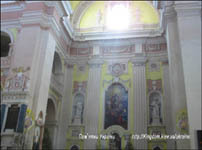 It suffered from many destructions and was almost destroyed in 41-44 years of 20th century. It was restored in 1981, In 2001 in was a gym inside it. I read in some literature that it was called a small castle. I wonder why was it as another building was called the same name. 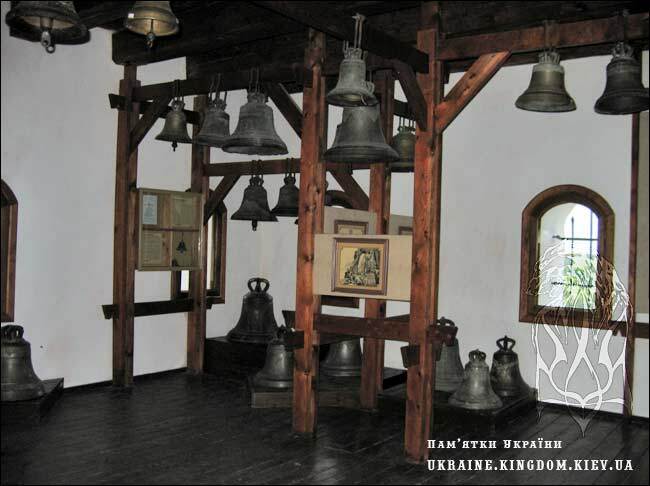 Was built in 15th century. 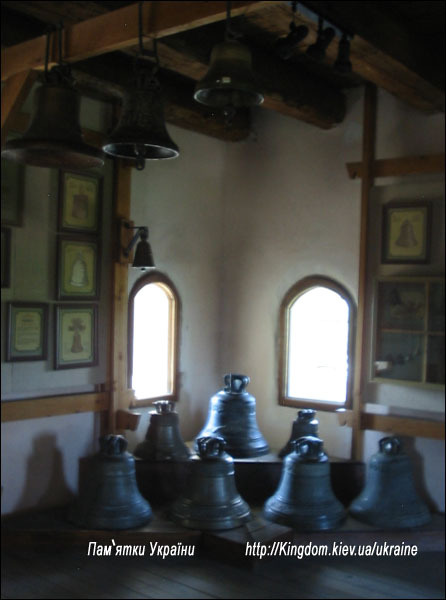 Reconstructed in 1873-1876. Oily paintings were renewed in 1932 and 1966. 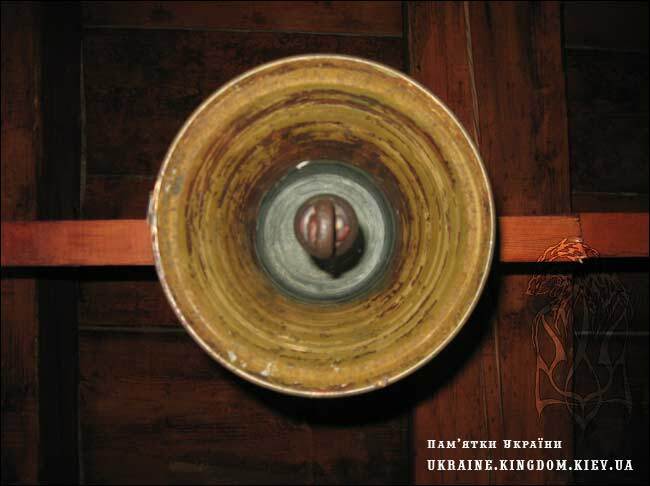 The Icon of Volyn’ Holy Virgin (13-14th century) was kept here. Now it’s preserved in Kyiv. 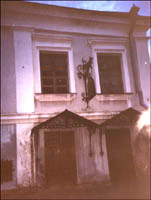 At first the building belonged to bernadines and was built in 1752-1755. 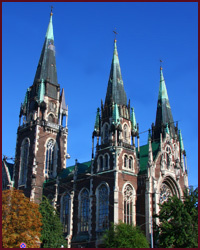 Then it was rebuilt for the cathedral in 1877-1879. Was built in 1390. 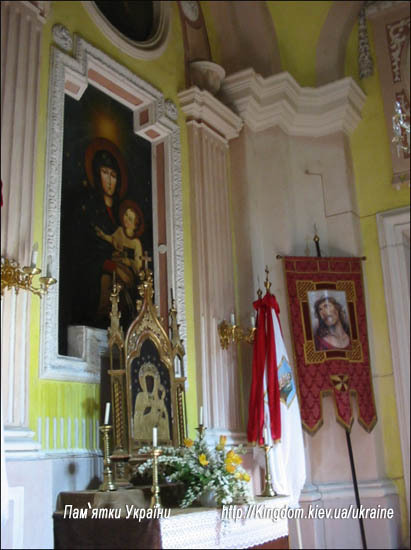 Rebuilt with stones in XVIII century. Was liquidated in 1847. It was military hospital that was placed within its walls. Now it’s and Art house. Built in 1619. 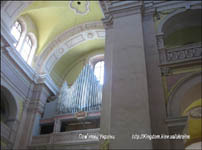 At first was made from wood, later rebuilt with stone. It has some caves. 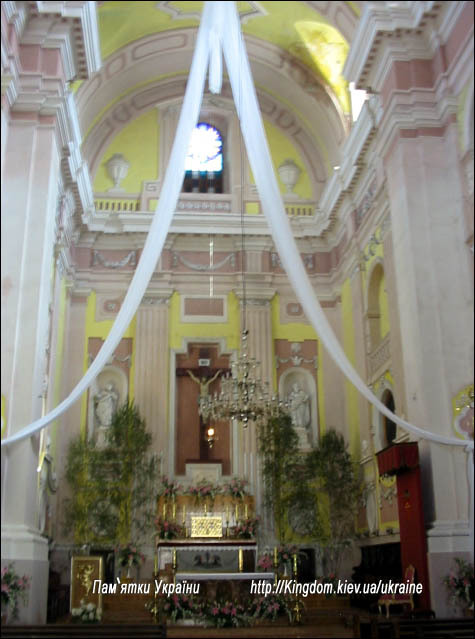 Was rebuilt after the fire in 1890 and later was redecorated several timed. 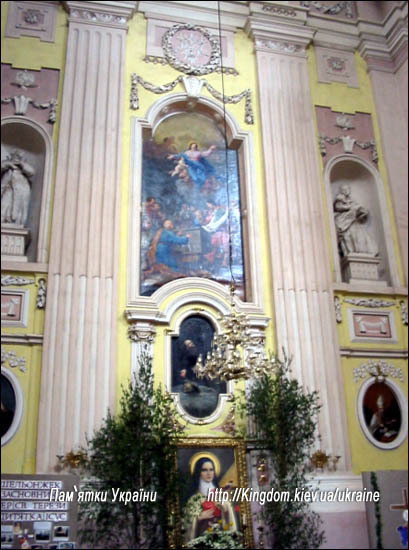 Built in 16-17 century. 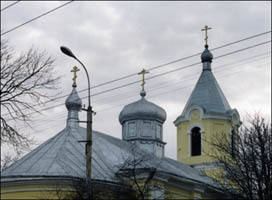 It consists of Peter and Pavel cathedral (1606- 1610) with its caves, belfry (1539), cells (1606-1610). Restored in 1970-1973. 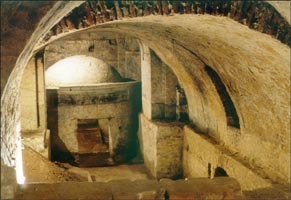 Underground labyrints are situated under Cathedral and were built in XIV-XVIII century. Their exploration began in 1970. The most of the work was done by the school students club “Enthusiast” and their teacher. 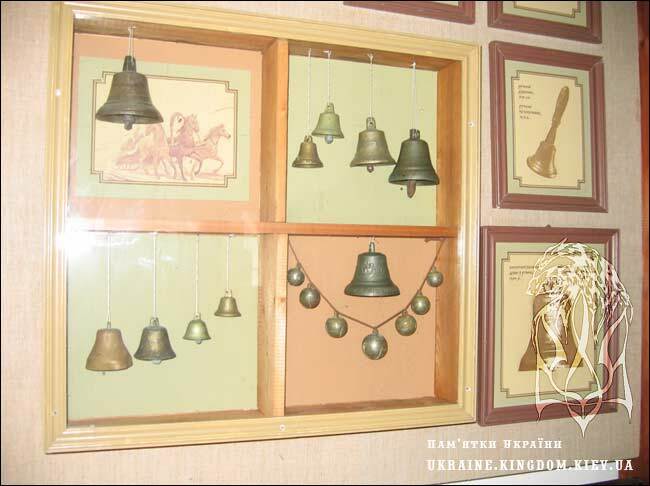 According to legends these caves were linking Luts’k with neighbouring villages Shepel’, Zhydychev and Olyka. In 2001 it was hard to find the cave entrance so if you want to – ask native people. If you are lucky, you can hear a lot of legends. I met such a person who said he had been playing in caves when he was a small kid. Also he told me that the caves have more than 2 storeys, my guide objecte to this later. 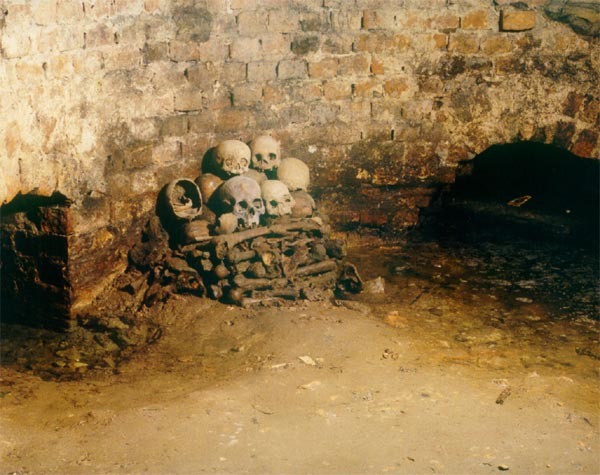 Visiting the undeground caves you will meet the guide who will take you though the lightened parts of the maze telling a lot of interesting legends and facts. 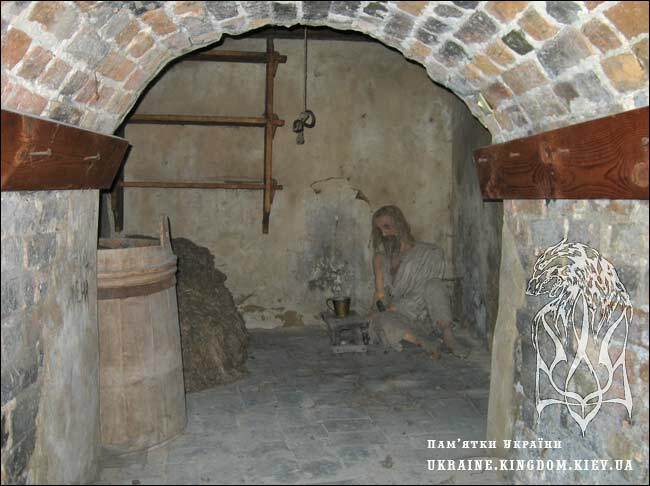 Under the Cathedral of Peter and Pavel it was a jail to be found with a one-man cell (appr. 50 sq. cms). You can get there and imagine yourself a prisoner of those times. Terrible feelings, especially if you imaging that prisoners were to spend here not some days or some weeks but more. I don’t advise to carry out this experiments of you have claustrophobia. Other cells are not very big either. In the middle of the jail you can find a well. 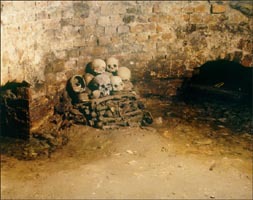 A crypt is situated in the caves. During the Seecond World War some local people were hiding here and a whole family died from falling at that time. Was a part of the Brotherhood of Exaltation of the Cross. Established in 1624. 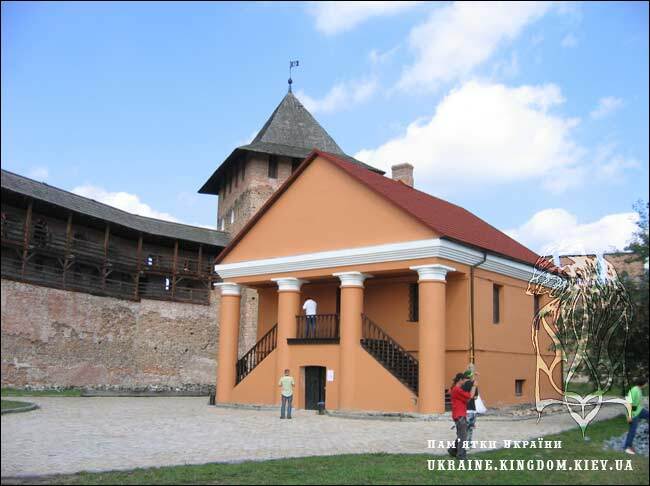 Built on the place of the palace of XVI century in 1624. 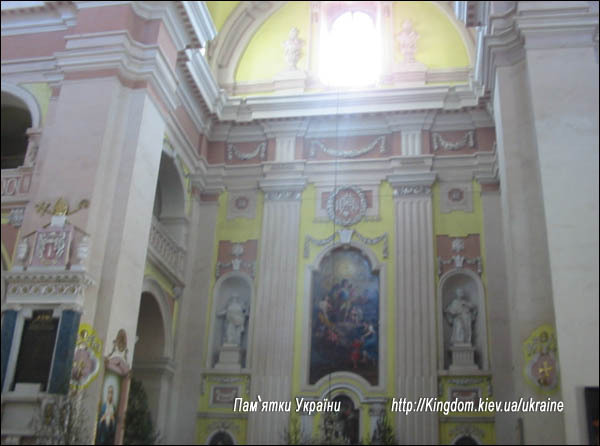 Was damaged by the fire in 1724 so it was partle rebuilt and restored. In 1846 the monastery was closed and the jail was made here and then musical college. 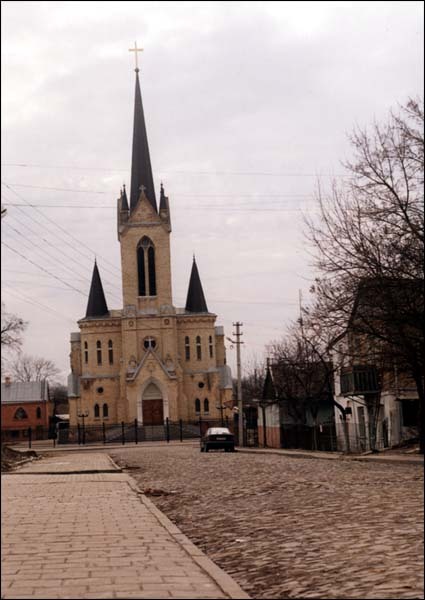 Lutheran church was built at the beginning if 20th century in neo-gothic style. It’s construction was concerned with the settling of German colony. 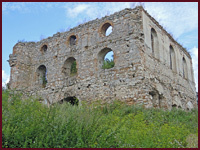 Built in XVI century. Unique example of house architecture. 2-storied building that became famous thanks to its residents – in 90-s of 19th century Kosach family lived here which brought up two famous woman writers – Olena Pchilka and Lesya Ukrayinka.